Sometimes, it can be difficult to settle on a ring design for your engagement ring especially when there are many options available. Hence, to make things easier for you, we decided to publish the "Ultimate Guide on How to Choose Your Ring Design". Attached above is a short summary/mind map. We will also be uploading a detailed article on each step of the process (e.g. Ring Material and Number of Prong) and hopefully, they will be useful for you. If you have any inquiry, please feel free to email us at sales@jannpaul.com! It can be overwhelming while shopping for the perfect engagement ring and wedding bands, especially when you are not so sure about your once in a lifetime purchase. 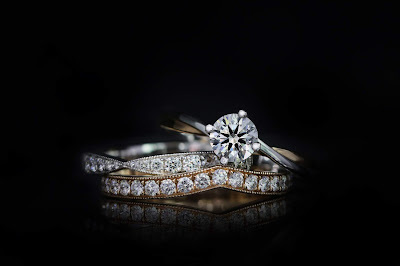 You probably know that engagement rings are given during a marriage proposal whereas, wedding bands are worn after the marriage, but what if I tell you that getting an engagement ring usually comes hand in hand with wedding bands? Since a long time ago, engagement rings are often worn to announce to the entire village that this lady is taken, in other words – engaged. During the marriage ceremony, the engagement ring will be removed to make way for the wedding band. This is due to the age-old belief that wedding bands solidify a strong bond of commitment for the couple and it should be worn closer to the heart. Engagement rings are also more commonly procured solely by the guy and after a successful proposal, when she said “YES”, that’s where the wedding bands comes into the picture! However, it all depends on your personal preference whether to choose your engagement rings as a couple or granting your other half a surprise proposal! Getting an engagement ring together may ensure that you get your partner’s correct ring size and preferred design. But what if you are getting an engagement ring without her knowing? How can you get her ring size secretly? Well, there are many ways you can do so. Do keep a lookout for design cues and hints she might be dropping in order to surprise her with a swoon worthy ring! Best to get some homework done now if you are planning to surprise her into saying yes! To get you guys started, what are the main differences between an engagement ring and a wedding band?? Although not all engagement rings come in a single stone, it can come with multiple small stones as well, it all depends on your preference. But because of its extravagant nature, some women prefer to only wear it during special occasions where they are dressed to the nines. As a rule, your wedding bands are simple and usually modest in nature compared to your engagement ring. This is because wedding bands are worn 24/7, day and night and you want them to be comfortable and not too much of a hassle for everyday wear. 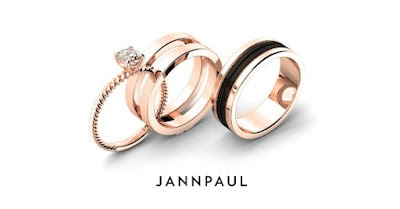 Wedding bands also comes in four different colours, white gold, rose gold, yellow gold and black gold. 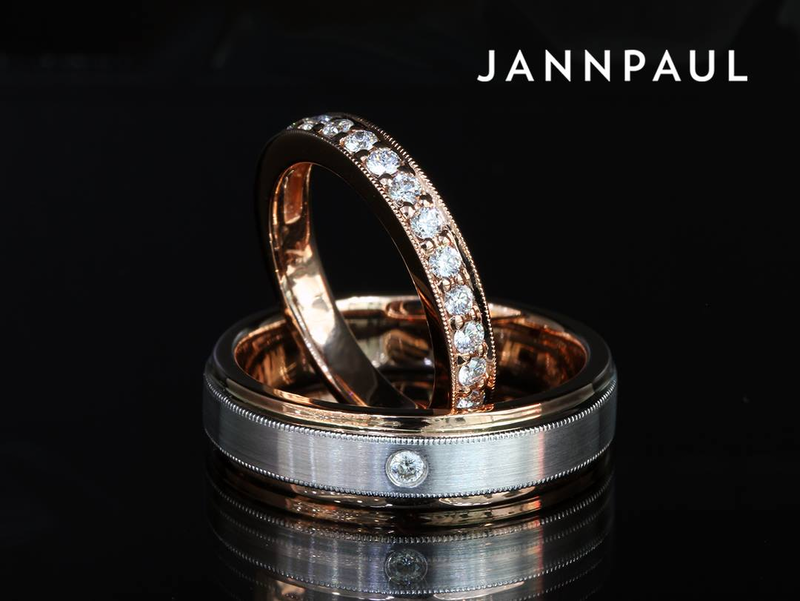 Although some ladies like to play it up a little by adding a small diamond on their wedding band, the men’s wedding band will generally be just a simple ring of a thicker bandwidth. 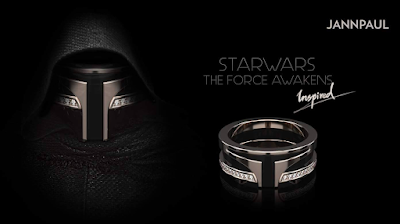 But that doesn’t mean that guys can’t go wild with their wedding bands! I’ve seen many crazy designs for men and you can definitely go for something more in your design. With all these in mind, how does an engagement ring and wedding bands go hand in hand? 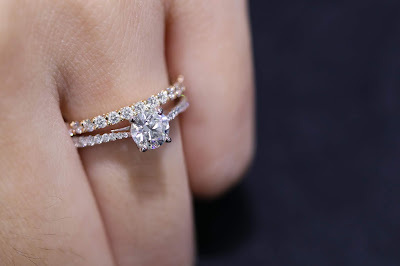 I am sure you have seen people stacking their rings together, because stacking both rings together are constantly getting trendy, its best to consider how both rings will look like together. In other words, you don’t want to feel obliged to opt for the other hand if both rings don’t go well together. But can you wear both on separate hands then? I guess, it all depends on your preference! Before I go into the juicy bits, there are a few things to note! Consider similar colours that go well together when purchasing both engagement rings and wedding bands if you prefer wearing them on the same finger. 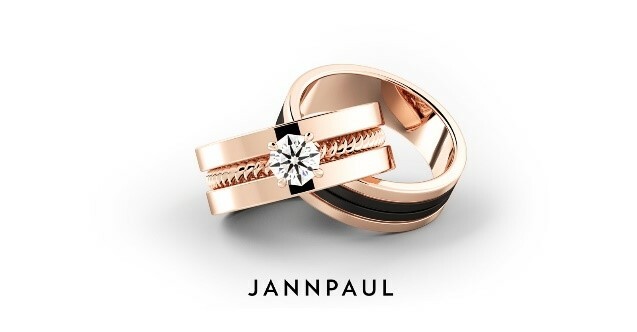 You want the rings to look beautifully coordinated and connect seamlessly. Some mis-matched rings where the style and fit are at odds could cause unwanted rubbing and discomfort. There are 3 common variations that the market offers, be sure to check them all out before settling on one! The most common: getting your engagement rings and wedding bands separately but keeping in mind the various designs fit to ensure both rings go well together. It's nice to have both engagement rings and wedding band in a similar colour, but two different colours for instance, a white gold and a rose golf setting would create a nice contrast! TIP: Side diamonds or no side diamonds? Engagement rings can come with or without side diamonds, which is entirely up to your preference. However, some ladies prefer their wedding bands to come with small diamonds as well, where it could be an eternity or half eternity band. If you are someone that likes the extra bling, go for it! If you like to keep it classic and simple, go for an engagement ring without side diamonds, which can essentially put your main diamond into the spotlight! Custom perfect fit: There are custom made engagement rings and wedding bands that fit together perfectly and can be worn separately as well. This variation has a slight twist to the usual design, yet the fit goes perfectly well because its more of a custom-made ring. If you guys are planning to opt for this variation, note that you will require a bit more thought for this! Slot-in rings: slot in rings are where both the engagement ring and wedding band are perfectly coordinated and designed to be worn together. 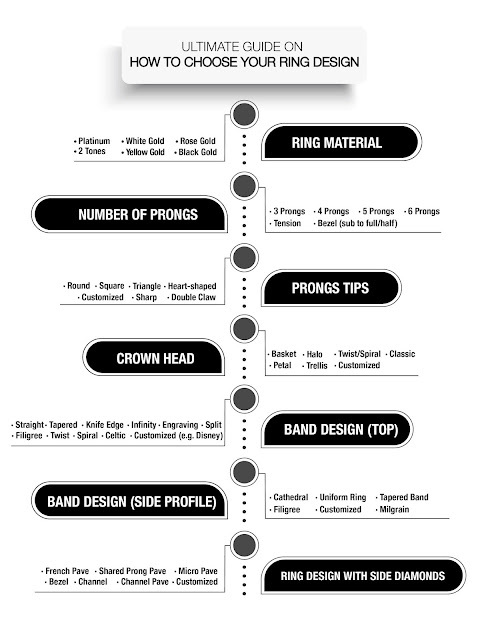 This will save you guys the hassle of trying to coordinate the style and fit of your engagement ring and wedding bands! TIP: Be sure to get your ring size right for this variation, especially if you are planning a surprise! This is because you won’t be able to resize your wedding band – the band where you will be slotting in your engagement ring! Also, for ladies with a smaller physique which accounts for delicate fingers, you might want to reconsider the slot-in ring because it is bulkier and might look too strapping for your small frame. How to get her ring size secretly? Custom perfect fit or slot-in ring? Or neither? I’m pretty sure that while researching and seeking for a diamond ring, this burning question may frequently pop up in your mind: What carat weight should I be getting? Although the carat weight doesn’t equate to how much you actually love her, a flat carat weight just isn’t worth it. Now, it all boils down to this one question: What exactly is a flat carat weight?! In the diamond industry, carat weights are categorized into different classifications, where it provides retailers a rough estimate on how their prices should be. According to each classification, diamonds will belong to different pricing brackets. To give you a visual idea of how the classification works, I will include a sample diamond rapaport report. The Rapaport report is used in the diamond trade to price diamonds. 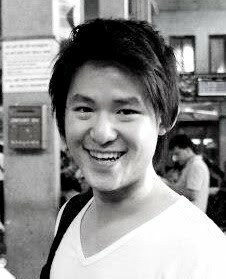 It serves as a price guide and tracks price fluctuations. Diamonds are priced in different pricing brackets, such as 0.30-0.39ct, 0.40-0.49ct, 0.50-0.69ct, 0.70-0.89ct, 0.90-0.99ct, 1.00-1.49ct, etc. For this example, we will use a 0.99ct and a 1.00ct diamond. Below is a screenshot of the pricing brackets for diamonds in the 0.90-0.99ct and 1.00-1.49ct. The diamond details are further categorized in different Colours (rows) and Clarity (columns). The numbers are the cost of the diamond by the hundreds in USD, per carat. So for example, a 0.99ct D IF diamond, would cost 0.99 X 15,200 = USD 15,048. However, do note that diamonds are usually traded in discounts, and this figure does not reveal the quality of the diamond at all. 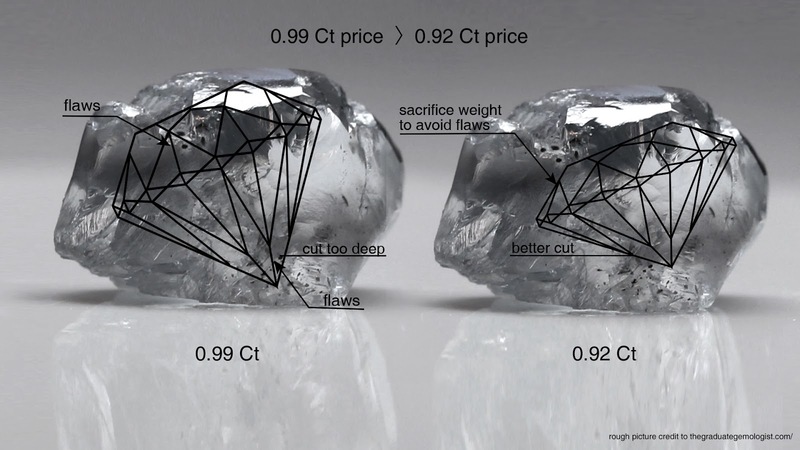 Naturally, poorly cut diamonds would be traded as bigger discounts compared to better cut quality. There is a whopping USD 12,452 price difference, just for that 0.01ct!! Doesn’t that sound crazy?! This huge disparity of price is largely due to the carat weight going up to the next higher pricing bracket (i.e. 0.90-0.99ct category to 1.00ct-1.49ct category). I’ll give you a minute to let this sink in: a flat carat weight (i.e. 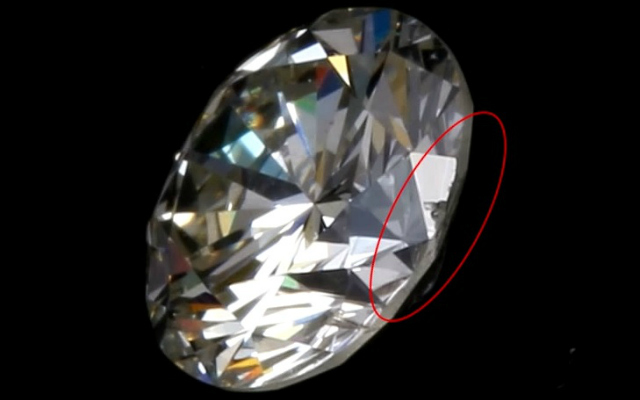 0.50, 0.70ct etc.) simply doesn’t give you the value you think you are getting. If you were to go into any local jewellery store or even a branded one, they probably wouldn’t tell you about flat carat weights. These flat carat weights don’t give good value as you are paying a premium to hit the border of the next pricing bracket. Hence, if you’re looking at a 1.00ct, you’re much better off getting a 0.9ct++ or a 1.0Xct+ (since you’re already paying a premium to belong to the 1.00-1.49ct bracket). Furthermore, if your diamond has any durability issues (i.e. a feather at the edge of the diamond), and you accidentally chip the diamond and lose 0.01ct, your diamond’s value will drop to the next bottom pricing bracket, where you’ll lose significant value. Your local jewellery store won’t tell you this either. Nevertheless, don’t be too quick to get her a 0.99ct Carat sizes such as 0.69, 0.89. 0.99, etc., also known as premium carat weights, are extremely rare to come by. It is extremely hard to find a premium carat weight in the market simply because diamond cutters also know that they will earn more should their diamonds fall into the next higher classification. They often try to force the diamonds to the next pricing category because the diamonds belonging to the next higher pricing bracket can be sold for much more (even if the cut quality is poorer). For example, if they have a rough diamond, that can either cut out a Super Ideal Cut 0.99ct or a 1.00 poorly cut diamond, they would choose the 1.00ct in a heartbeat. Even though the 1.00ct is poorly cut, they can get a much better profit since it’s in the next pricing bracket. However, that doesn’t mean that these 0.99ct sizes don’t exist at all! In any event that you find yourself looking at a diamond of a premium carat weight in any jewellery store, it usually comes in bad proportions with questionable light performance. This happens because when profit-driven diamond cutters are presented with a rough diamond, it makes sense for them to cut a diamond with a larger carat weight without any regard for its proportions and light performance. 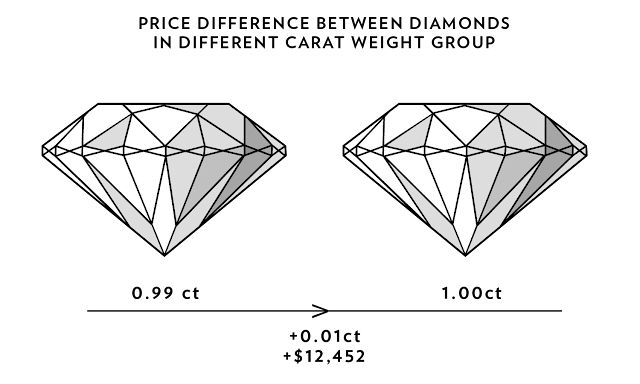 For example, a diamond cutter has a rough diamond that can be cut into either a, 0.91ct Super Ideal Cut or push to hit a 0.99ct but poorer quality. Similarly, most would aim for the 0.99ct as it can fetch a higher price. These diamonds are called ‘’forced carat weights’’. So these are the secrets about flat carat weights you need to know before getting your engagement ring. If you have any inquiry, please feel free to email us at sales@jannpaul.com! Engagement ring symbolizes dedication, commitment and love between you and your partner. We are sure you would like to take proper care of your engagement ring so that it looks as brilliant as the day you bought it. Hence, today, we will be sharing the dos and don’ts after you purchased an engagement ring. (Do) Clean your ring once a week using diluted liquid soap, water and toothbrush to maintain its sparkles and brightness. (Don’t) Use Bleach or other strong cleaning agents as they may be abrasive and dull the ring. (Do) Remove your engagement ring before going for a swim as most, if not all swimming pools contain chlorine which may damage the ring setting. Leave it in the same place at home before taking off to your destination. (Don’t) remove it in public or unfamiliar places as you may lose it due to negligence. (Do) Dry your diamond using a lint free cloth whenever it gets wet or use a blow dryer. (Don’t) Use paper towel or tissue to wipe the diamond as these items have rough fibers that may leave lint or dust underneath the ring. (Do) Admire your beautiful engagement ring by holding onto the band at either side of the main stone. (Don’t) Touch or grab the center stone as it is easy to leave fingerprint marks or oil on the diamond. 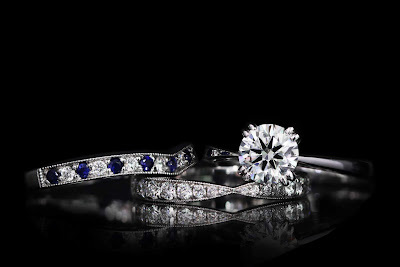 (Do) Bring your engagement ring to your jeweler for regular prongs check once every 1-2 years. (Don’t) Use pliers to tighten your ring by yourself as you may accidentally damage your ring. (Do) Wear your diamond ring everyday to flaunt. (Don’t) Wear it to the gym or during vigorous activities. Accidental or repeated knocks may cause wear and tear even though a diamond is one of the hardest materials in the world. (Do) Take off your ring every night before you go to bed. (Don’t) Wear your ring overnight especially during pregnancy as it may get struck. (Do) Keep your diamond ring on a jewelry tray or soft pouch. (Don’t) Keep your diamond ring with other diamond jewelries as diamond can scratch diamond. If you have further inquiry, please feel free to email us at sales@jannpaul.com. White gold remains a popular choice for engagement rings and weddings as it is relatively inexpensive as compared to platinum. However, in its unpolished and non-plated state, white gold is not pure white in color but instead has a yellowish tinge to it. Hence, white gold rings are usually plated with fine layers of rhodium to give them their characteristic bright white appearance. In JannPaul, all our rings are rhodium-plated. As some may not be familiar with rhodium plating or understand its application, we decided to write a post on rhodium plating to help you understand the procedure better. Rhodium is a rare, silver-white metallic element that is resistant to corrosion, tarnish and scratches. The transition metal is also extremely durable, hypoallergenic and possesses the ability to reflect large amounts of light, which explains the bright white look of the rhodium-plated rings. Normally, the ideal thickness of rhodium on an engagement ring is between 0.75 to 1.50 microns. You must be wondering, “Why not more?”. It is because any ring plated with more than 2.0 microns of rhodium will become very brittle! However, do take note that rhodium plating is not permanent, and how long it can last depends on the number of times the ring is worn and the thickness of the original rhodium plating. We provide all our clients two free complementary repolishing and replating sessions to ensure your engagement ring retain its magnificence, just like the day you collected it! Thank you for spending some time to read our post! If you have any question, please feel free to email us at sales@jannpaul.com. Diamond certificates are often issued by gemological laboratories to assess the quality of a diamond. The GIA and AGS are two of the strictest and most recognized diamond certification laboratories in the world. Thus, all of our diamonds are certified by either GIA or AGS. It is important to read and understand the GIA certificate as the certificate contains vital information about the diamond, which in turn affects its price. Some may find it complicated or are at loss about certain aspects of the diamond certificate. Hence, to help you guys, we decided to make a comprehensive video series on how to read a GIA diamond certificate and everything else you need to know about it! In "How To Read A GIA Diamond Certificate (Part 1)" video, we will explain the Certification Date, GIA Report Number, Shape and Cutting Style, and Measurements. In "How To Read A GIA Diamond Certificate (Part 3)" video, we will explain the last C (Cut), Polish, Symmetry and Fluorescence. 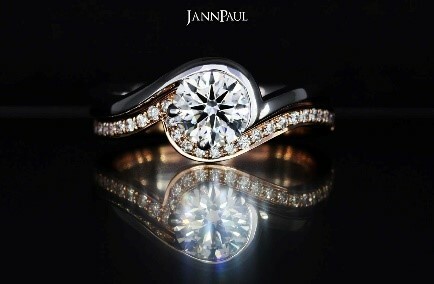 If you have any inquiry, please feel free to email us at sales@jannpaul.com. Compare the difference between the Octagon Hearts & Arrows diamond against a normal GIA Triple Excellent Round Brilliant Diamond. The Octagon has 88 facets with 8 Hearts & Arrows, and is cut to the maximum light return, outperforming any standard GIA Triple Excellent Round Brilliant diamonds. You may also check out the different ways you can set your Octagon diamond in the video below!